In the Pro Tools Expert 2017 Christmas Competition, we offered the chance of winning a copy of Exponential Audio Stratus Reverb, worth $399, as one of 31 great prizes on offer worth over $16,000 in total. We can announce that Jason Shablik is the lucky winner. You can learn more about Jason further down the article. Expanded EQ, building on the popular NIMBUS architecture. Not only have we added bandpass and notch filters on the early reflections and tails, but we've also added an input EQ to help keep undesired elements out of the reverb. Dense and powerful early reflection control -- twice as dense as PhoenixVerbSurround. There's a unique reflection pattern from every input to every output. You'll never worry about compatible fold-down. As with all Exponential Audio reverbs every single reverb channel is decorrelated. You don't have to worry about colour changes when that mix comes down to stereo--or mono. This becomes more and more important as channel counts go up and mix time goes down. Dynamic control with tail-suppression (expanded from NIMBUS). Your mix will keep itself clear. Warp, to add even more timbral and dynamic control. Warp incorporates a compander, an overdrive circuit and even word-size reduction. You can turn it on and off whenever you need it. More stem options. Not only can you have mono-in/surround out. You can easily generate a surround reverb from LCR input. Or a 7.0 output from 5.0 input. There are even more options. Optional tempo control of pre-delay and reverb delay. Rhythmic score? You'll be surprised how much pop you can add without needing a calculator by your side. Presets--whether factory presets or your own user presets--work in all surround formats. If you've worked hard on a 5.0 preset, it's going to sound great in 7.1 or Atmos--without modification. In the Pro Tools Expert 2017 Christmas Competition, we offered the chance to win one of 31 great prizes worth over $16,000 in total. 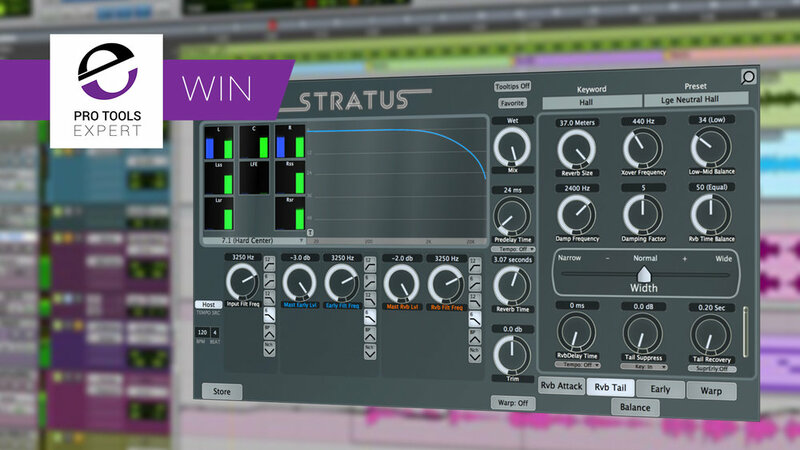 Jason Shablik wins Exponential Audio Stratus Reverb Plug-in Worth $399. For the past 26 years, I've been working as an audio engineer, sound designer, and voiceover artist in the US market. Most of my work is in the advertising and corporate sector, but I've also completed short film and television projects. My business, Jason Sound, is mostly conducted from my home studio just above my detached two car garage. I use Protools 12 HD Native, 2010 Mac Pro 8 core with 64G RAM, Adams and Genelec monitoring, and more plugins, sound effects libraries, and virtual instruments than I care to admit. Voiceover work has become a big part of my current workload and I enjoy the challenges that go along with it. But I still consider sound design to be my first love. Audio has always been a passion for me, and I feel fortunate to make a living doing something I thoroughly enjoy. The technological advancements we've seen over the past 25 years make it that much more exciting and staying on top of those developments is important. Pro Tools Expert helps keep me informed of current developments and makes me feel a part of a community. Something I really miss about working in a multiroom facility. Thank you. I've been an Exponential Audio user for a long time. My arsenal includes R2, PhoenixVerb, R4, and Nimbus stereo versions. In the past few months, I've revamped my studio's 5.1 setup in an effort to target more surround mixing opportunities and VR work. Exponential Audio Stratus was at the top of my list of surround plugins to acquire. My current Exponential Audio plugins are phenomenal sounding, and I appreciate their light touch on my CPU usage. I can imagine Stratus follows these same principles and will become my go-to reverb moving forward.